Piggy-backing on the ongoing Apple Maps drama, The New York Times gives us a couple interesting tidbits that help explain the origins of Google Maps on the iPhone. 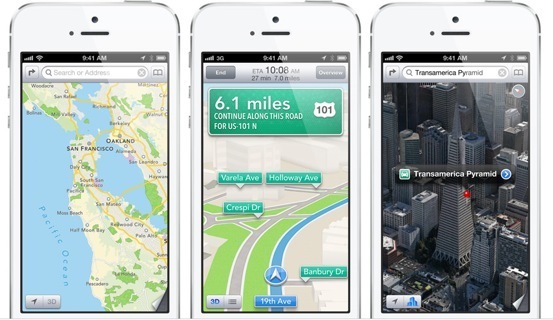 For starters, Apple never intended to put maps on the iPhone. It was a decision late CEO Steve Jobs made last minute, one that would cost Apple its reputation five years later as Apple rushed its own solution out of the door too early. In a way, the report notes, Apple Maps continue on a string of Internet services missteps, with notable examples of the recently axed Ping social network for music, Siri, a controversial digital assistant, the MobileMe suite of web tools and recent iCloud outages. Remarkably, just two engineers managed to scrap together an app for Steve Jobs keynote in three weeks and Apple “hastily cut a deal with Google to use its map data”. Walking across there seems like fun. 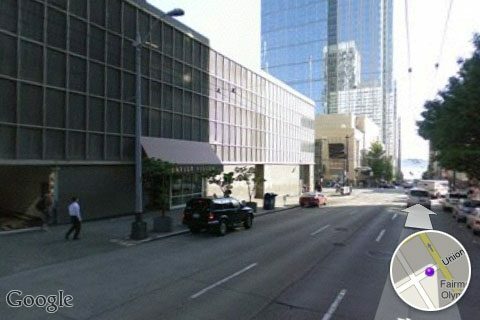 Image via The Amazing iOS 6 Maps blog. Even Apple was surprised how popular the feature quickly became. It began to bother executives how much data about the behavior of iPhone users was flowing back to Google, which could see the coordinates of every iPhone user who downloaded a map, the former executive said. This was all happening at a time when Apple and Google were buddies, with then Google CEO Eric Schmidt having a seat on Apple’s board of directors – even though at that point Google was working on its own mobile operating system, which it had acquired two years earlier, in 2005, in the form of Android, Inc. a Palo Alto startup headed by Andy Rubin, the founder of Danger and now Senior Vice President of Mobile and Digital Content at Google. 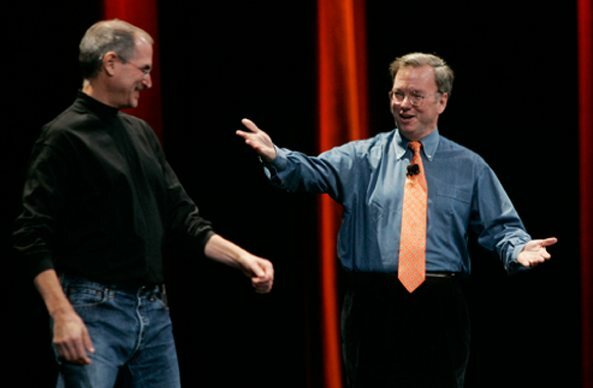 That year, Mr. Jobs drove to Google’s headquarters and got into a screaming match with Google’s founders, Larry Page and Sergey Brin, and the head of its Android development team, Andy Rubin, as he tried to discourage them from copying the iPhone, according to an account of the meeting in Walter Isaacson’s biography of Mr. Jobs. Rubin to this date continues to oversee development of Android. It would take Apple some time to realize what was happening and force Schmidt to resign from the Board “due to potential conflicts of interest”. This corner Apple has painted itself into with Maps today may never have happened if Jobs hadn’t misplaced his trust in Schmidt. Here’s Steve Jobs placing a prank call to Starbucks via Google Maps at the iPhone keynote in January 2007. The report goes on to assert that “Google was blindsided” by the Apple Maps introduction at WWDC 2012, despite numerous reports and Apple’s acquisitions of mapping startups Placebase, Poly9 and C3 Technologies. “They’re embarrassed by it,” he said. Many of the problems are a result of merging map data, some of it flawed, from many sources. The article also makes claim that “Google is now developing its own maps app for iOS and plans to release it before the end of the year”, which we heard before (and you seem to be eagerly awaiting a native Google Maps app). 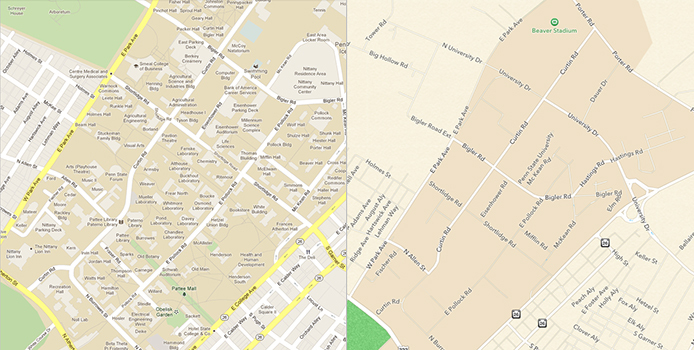 A comparison of more detailed Google Maps (left) compared to Apple’s (right). Image via AppleInsider. Though Maps issues negatively affect the iPhone customer satisfaction, no hard data points to the blunder impacting iPhone 5 sales. The device just launched in 22 additional countries yesterday and is coming to a hundred markets worldwide across 240 carriers by year’s end. The iPhone 5 sold five million units during its opening weekend and is still in short supply. Many regional carriers are unable to take pre-orders as Apple is selling new iPhones as fast as it can make them. I have yet to meet a would-be iPhone 5 buyer discouraged by Maps problems. 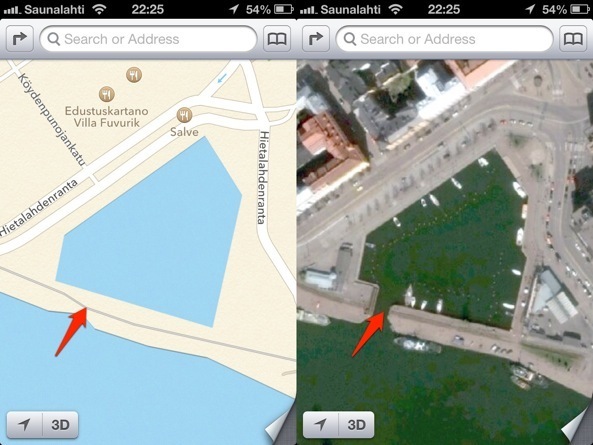 There are already plenty of mapping alternatives in the App Store and on the web. I also think iPhone buyers don’t buy Apple’s device for GPS navigation and mapping services. Those who deem maps a killer feature usually go Android, if I’m not mistaken.